Supposedly, there are 1,200 organizations doing marketplace ministry. And now Asian Access makes it 1,201. First, it relates to Asian Access’ legacy and credibility over nearly 50 years of ministry in Asia. A2 has trained thousands of leaders for their work in the Church across Asia. This is not to be underestimated. These leaders are bringing profound transformation into their spheres of leader, family, church, community, and even country. Another reason is that Asian Access is highly experienced in leadership development and coming alongside to produce leaders who would then reproduce additional leaders. The leaders coming out of A2—and those emerging leaders mentored by A2 leaders—are not ordinary. If there is one thing that is largely wrong today is the lack of leaders with integrity, humility and transparency—regardless of whether we are looking in the Church or outside the Church. We can see this everywhere. There are now numerous case studies in leader development that that can be half-stepped over or extended over to the marketplace leaders—that is, the people in a place of leadership more from a Monday through Friday context, than on a primarily Sunday context that many pastors have. So I think A2 is uniquely positioned to do this well because they understand the pastoral heart. I think it’s applicable to not only pastors, but also to marketplace leaders. A2 knows how to come alongside and encourage leader, properly equipping them to produce effective leaders for years. And A2 understands the Asian context and has proven to be culturally relevant in this part of the world. Why is A2.business important in Asia? It’s not a surprise that people view this century as the century of Asia. From a US perspective, I am aware of few marketplace ministries that have an international reach. For example, Christian Business and Marketplace Connection International (CBMC) started here. There are CBMC chapters all over the world, including Korea where I visit regularly. CRU (formerly Campus Crusade) also has a marketplace ministry that goes outside of the U.S. In terms of Asian Access, because of its history and its legacy in Asia, it makes perfect sense to use that long-sustaining relationship to work within the marketplace. Please pray for Asian Access as it expands into the marketplace with A2.business. 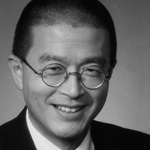 David D. Kim is a board member of Asian Access. In the marketplace, he is Servant, Mobilizer, Founder of Telos Ventures. David D. Kim has a corporate finance and corporate law background and has been advising and investing in startups for over a decade. David serves faithfully at his church, Menlo Pres in Silicon Valley as a ruling elder, and is active in the world of global missions in partnership with various agencies. David is also a member of the Asian Access board of directors, offering expertise and serving as a catalyst to help launch A2.business to empower marketplace leaders. Posted in Leader Development	Tagged David Kim, leader development, marketplace	| Comments Off on A2 in the marketplace? A great new initiative!